Paris police shoot man on Charlie Hebdo anniversary. 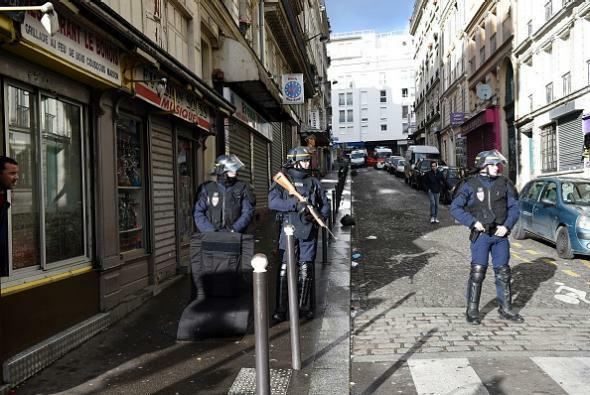 French police patrol near the Rue de la Goutte d’Or in northern Paris on Jan. 7, 2016, after a man with a knife was shot dead as he was trying to enter a police station. A man carrying a knife who is said to have shouted “Allahu Akbar” was shot dead as he tried to enter a police station in Paris on Thursday on the first anniversary of the Charlie Hebdo massacre, reports say. The man was apparently wearing what appeared to be an explosive vest or belt that was not actually packed with any explosives. 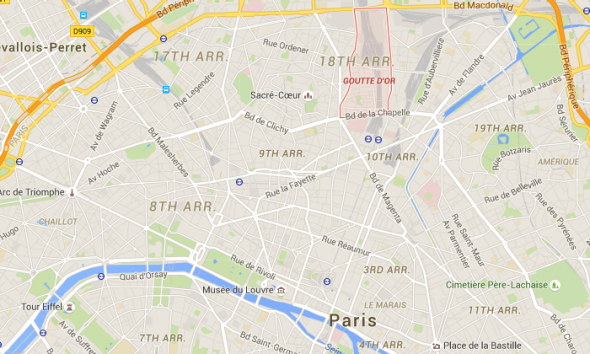 Few further details are as of yet available about the shooting, which took place in the Goutte d’Or neighborhood in Paris’$2 18th arrondissement. One year ago Thursday, two gunmen killed 11 people inside the Charlie Hebdo office as well as a police officer outside; in the ensuing days an associate of the Hebdo attackers killed a police officer and then killed four individuals at a kosher supermarket. All three of the attackers, who were affiliated with the Yemen-based al-Qaida in the Arabian Peninsula terror group, died in confrontations with police. Another 130 victims were killed in ISIS-linked terror attacks in Paris inNovember.